This device has been tested with both human stem cells derived from the umbilical cord as well as islet cells from pig pancreas. The research on this specific project began 10 years ago. 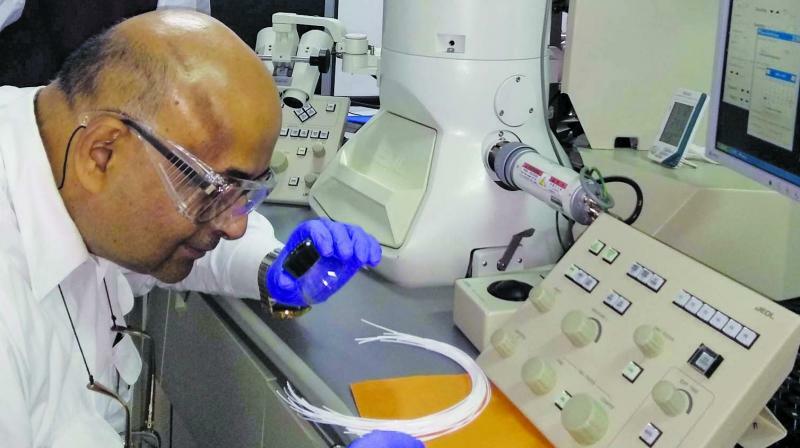 Mumbai: A special porous thread developed by the Indian Institute of Technology-Bombay's (IIT-B) chemical engineering department has successfully brought under control blood sugar levels in mice. The ‘Bio-Artificial Pancreas thread’ comprises a polymer-based hollow-fibre membrane. The research on this specific project began 10 years ago and Prof. Jayesh Bellare from the aforementioned department is leading the team behind it. Speaking with The Asian Age, Prof. Bellare proudly shed light on his achievement, which he feels will make a difference in the world. “The advantage of our device is that it supports cell growth by mimicking the extracellular matrix in which cells naturally grow, and simultaneously, allows insulin to reach the patient while preventing an immune reaction from cells if they are of foreign origin (for the body),” the professor said. In simpler terms, once the thread is inserted with minimal surgery or through abdominal cavity (belly button) of the patient, it sits or floats around the pancreas, later activating itself and secreting insulin. When pancreatic cells are grown inside the thread, the factors and enzymes they secrete are selectively passed from a hole in the thread, which is referred to as the ‘lumen’.